I’m a software engineer and here I’m going to share some humble info about me and maybe a helpful advice. I’m a fun of reading other developers on how they started with programming, and what their advice to other programmers. I started with computers in my early age playing Digger, Prince, Dave and many other games. From time to time in my village computers started to be available to other people, and I was the one who fixing technical issues on old Operating Systems( Windows 95,XP …) for my friends and upgrading their computers. My passion for programming started when I saw a person formatting the OS via commands after inserting a floppy disk, and this was amazing to me. 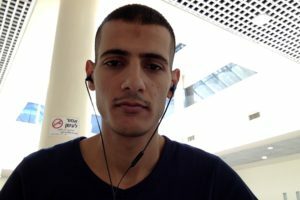 In high school, I learned a programming language called Pascal, and continued my path at Afeka Tel Aviv college, and got my B.Sc degree in software engineering at age of 25. In the college at the first year we started programming in C programming language and learned how to work with pointers until we get to the end of learning how to use bytecodes and do shifting for bits, and in the same year we also learned Assembly programming language and it was really helpful course to me, and lets you know how programming in high-level languages is not the same as low-level language where you have a tiny variables to store your data, and how just a line code in higher programming language can be converted to at lease two or three line of codes. In the last year of my degree, I learned an amazing course that expanded my thinking ability, it’s called Parallel Computation, so by using one program you can split the running code to multiple processors using a network, and each computer takes its mission and executes it. You may think, why my blog is just having posts about web development field? Web development helped me a lot understanding what is JSON, REST, single page application, MVC framework and many other things, so I don’t regret that I have an experience in web development even though the server side programming language was in PHP but the matter of programming language is fit your need. Currently, I’m taking a Java Course at Jhon Bryce in Tel-Aviv, and working at a startup company called Zvoid as a backend developer. I already finished successfully other online courses from Udemy and other websites, and also got some certification of front-end development course where I learned Angular.js (version 1) at Tsofen organization. So this is a summary of how I started programming and some of what I learned along the way.